Making Teeth Brushing Comfortable For Your Dog | Dawg Business: It's Your Dog's Health! The best video on how to get your dog comfortable with teeth brushing I've ever seen. Donna Hill, Donna Hill B.Sc. B.Ed., has a degree in zoology and a teaching degree. 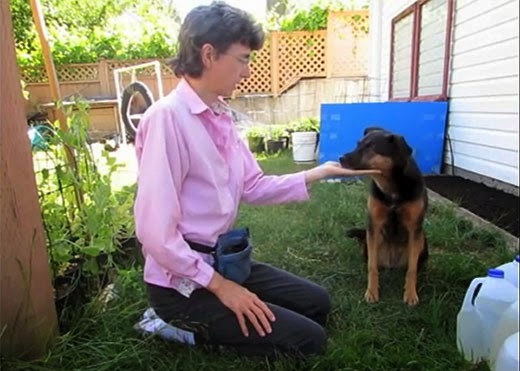 She has 20 years experience in adult and child education and enjoyed teaching people how to observe animals in nature as a nature interpreter, field biologist and train-the-trainer for presentation skills and now applies her knowledge and skills to help people and their dogs. She helps people with disabilities to train their own service dogs and has experience working with autistic and developmentally delayed teens. She uses plain English to explain what you are doing and why and also provides analogies you can relate to. She was also a Girl Guide and earned the highest honor as well as worked in the Tourism industry as a information counselor. She loves to share key information with people! Visit her blog at Online Clicker Training Tutorials & Coaching. Check out her two Youtube channels supernaturalbc2009 and supernatural 2008 for more awesome videos. Her motto is "Yard by Yard, Life is hard. Inch by Inch, It's a Cinch!" Break everything down into it's simplest parts and it's achievable! 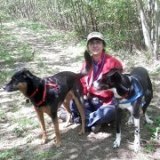 Don't forget to visit Donna's FB group Observation Skills for Training Dogs or connect with Donna on Twitter.